No Anonymous & Happy Memorial Day! 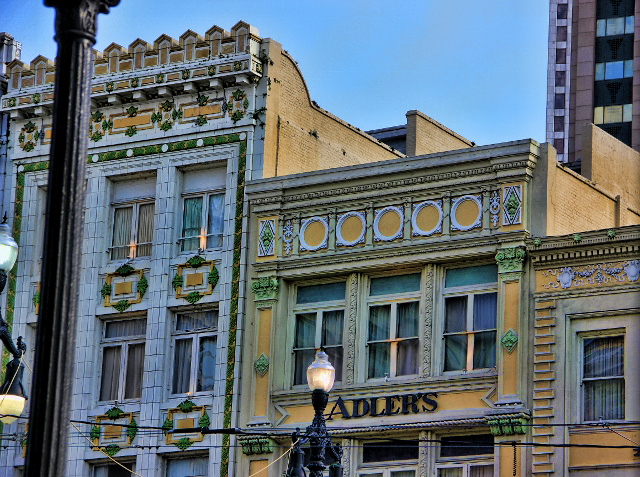 More lovely buildings in New Orleans. You ask what is No anonymous? It’s a support group for those of us who cannot say no. Really. Or, at least if one doesn’t exist, it should. Would I attend? Probably, if someone asked me because I can’t say the magic word: No. When something becomes a problem in your life, whatever it is, it’s time to realize you have….a problem. So there you have it. I am a Yes Person. Sometimes I can say no. But you see, lots of folks think when I say no, it means maybe, if they can wear me down and get me to agree. Sometimes I can say no and mean it. But that doesn’t happen often enough. I told myself I would not schedule as many conferences this next year. I’ve already got 4 scheduled. Two are conflicting. How did that happen? Remember the magic word? I didn’t say it. To my Higher Power, I say, grant me the power to say no, more often! 🙂 And mean it. And not get talked into anything else. But sometimes, I just want to say yes, because I think it’s a good idea, at the time… And then it’s too late to back out. You’d think I’d learn, but nope. And with that note, I wish to salute all veterans, families of veterans and those who support them for Memorial Day and wish everyone a wonderful Monday wherever in the world you are today!